Short and stumpy, or low and long, our hand built top quality footstools can be whatever you want them to be. 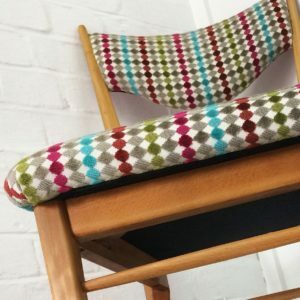 A small pop of colour, or big enough to take a supper tray, your footstool made to your own specifications will be as useful as it is beautiful in any room. Gorgeous upholstery fabrics with your own choice of legs and feet, can add an individual twist to complement your home design. We look forward to hearing from you to discuss your project and a quotation. Please complete the contact section and we will be in touch soon. If you have a larger upholstery project in mind we can help you with this if you are located in the Plymouth area.